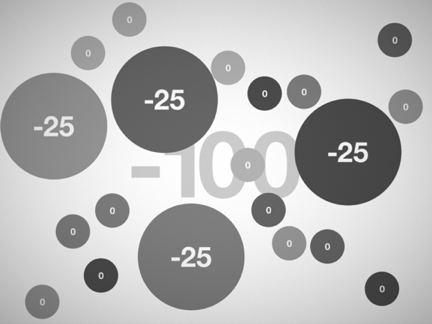 You may have already heard about Hundreds ($2.99), which is the new iOS game from a pair of indie developers: Adam Saltsman, creator of Canabalt and Greg Wohlwend, creator of Solipskier and Gasketball. 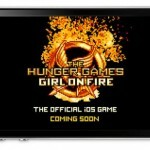 All three of those games have enjoyed enormous success in the App Store, so Hundreds had a lot of promise right from the start. 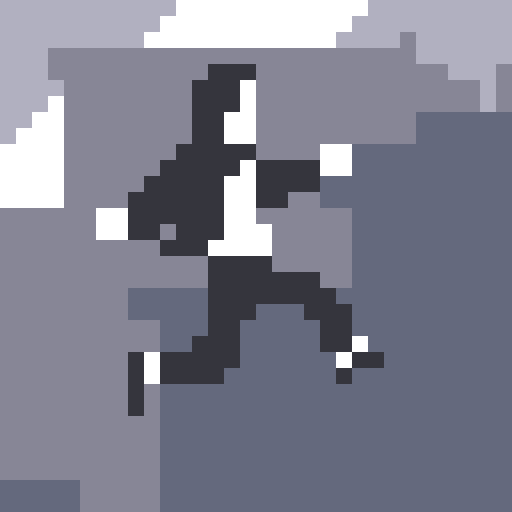 There is a Flash version of the game, but the controls on the iOS version are much improved; so much so that you may want to go download Hundreds right away, before you even finish reading this review. Yes, it is that good. 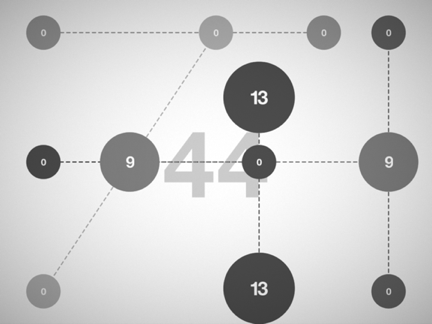 At first glance, Hundreds seems like an ultra simplistic puzzler, which is accurate, but the gameplay is also clever, challenging, and addictive. 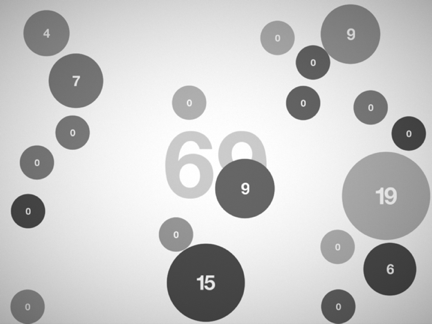 The idea is to tap a series of circles in each level, until the number of taps adds up to 100. The game has no tutorial, but it doesn’t need one because the concept is so easy to pick up. It’s just tapping circles. 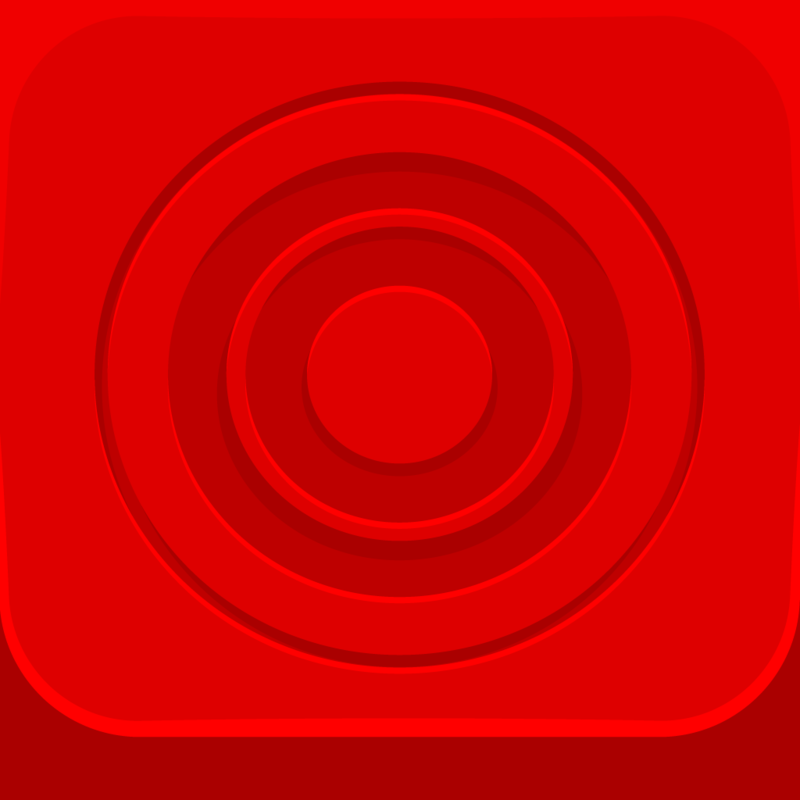 The caveat, however, is that the circles turn red and grow with each tap, and if they bump into one another, the level will end and you will need to restart. 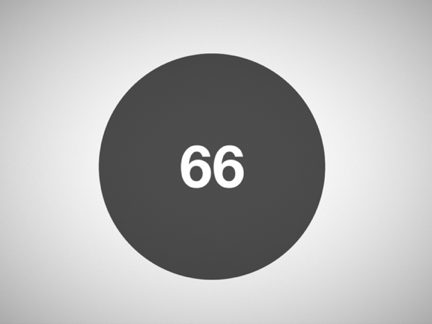 The game will begin with a single circle, then add in multiples, and soon, you will be introduced to moving circles and circles that must be tapped simultaneously, causing the gameplay to become surprisingly tough. 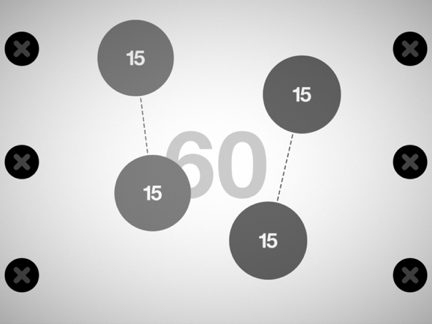 Hundreds is a game that requires a lot of patience. 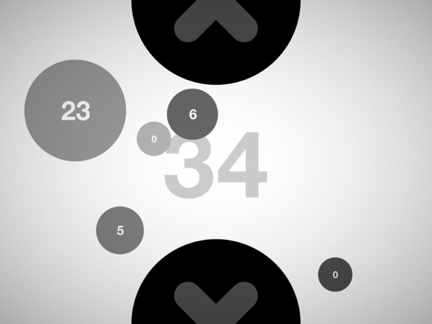 In later levels, you will need to time your taps carefully to enlarge circles, which means a lot of waiting and watching. 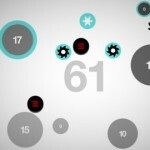 You will be replaying levels often if you have poor timing, so expect a bit of frustration with this game. If you get stuck on a level that you just can’t finish, you can skip ahead. 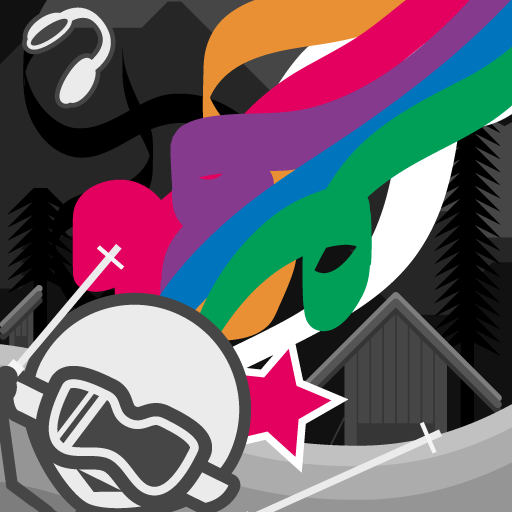 The game allows you to choose levels several rounds in advance, so you can come back to those ultra tough stages later. 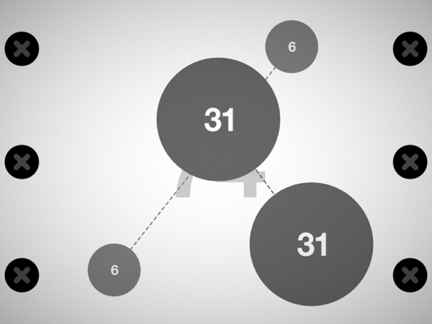 This is not a simple puzzle game, but though it can be hard at times, the variation in the levels keeps the gameplay dynamic, so it is never boring. 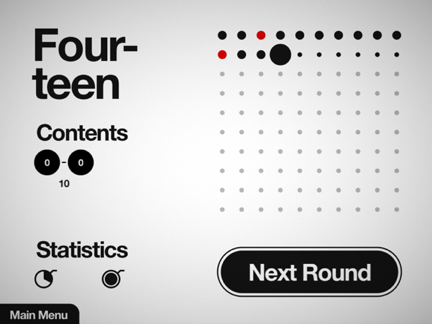 In fact, I’d say that Hundreds is downright addictive. In addition to the puzzles, there are cryptic sayings at certain points in the game, which coincide with Game Center achievements. 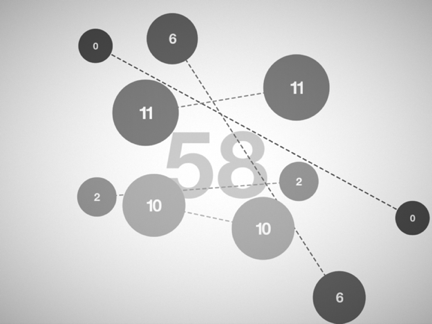 For example, the first saying reads, “A mouse has one snout but a hand has five.” It’s a fun way to mark pivotal points in the game, which has a total of 100 levels. Hundreds’ minimalistic graphics may make the game look unappealing and not worth the $2.99 purchase price, but in this case, looks are decidedly deceiving. 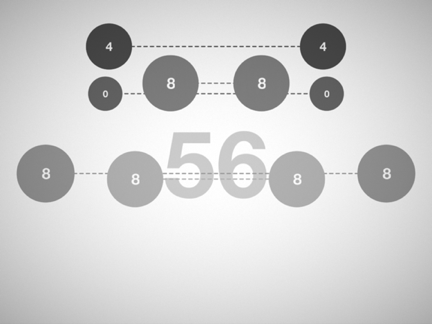 Hundreds is a cleverly designed puzzle game that shouldn’t be missed.